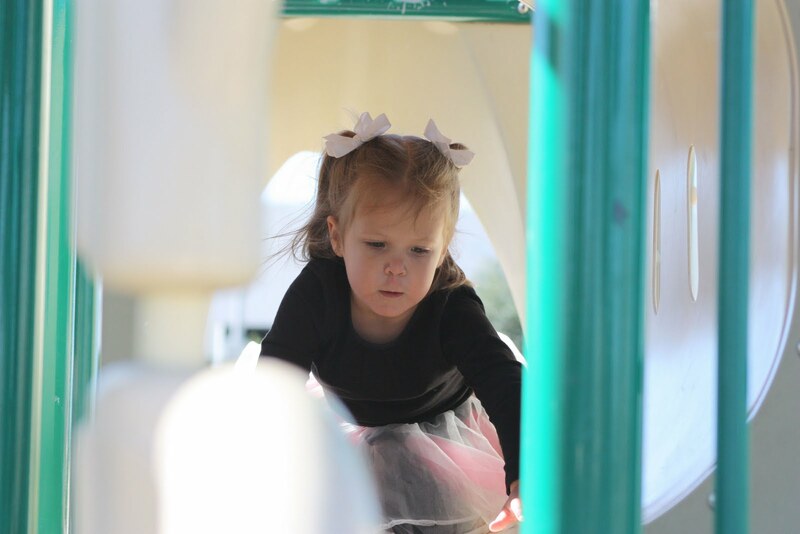 Hannah and I headed to the park this afternoon after school to enjoy the beautiful day. 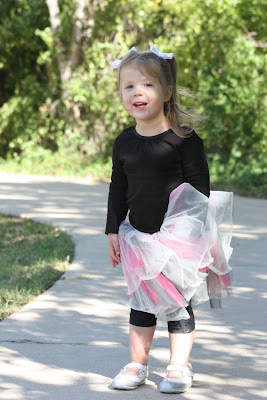 (And to burn off energy after her Halloween party at school!) 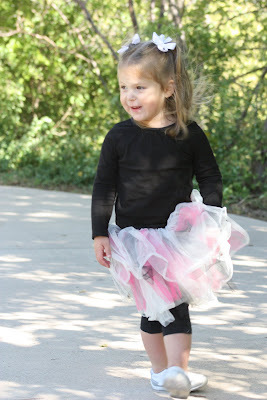 She decided to be fairy for her halloween party today, but the wings didn't make it to the park. We have a busy, fun weekend coming up. We are heading out to the Fort Worth Zoo for Boo at the Zoo and then Trunk-or-Treat on Sunday. We'll see who Hannah will be on Halloween night, but I am guessing that she will choose Alice in Wonderland. As much as we travel to the Disney destinations with our business and for vacation, we often hear, "Why the obsession with Disney?," "Do you ever go anywhere else?," "Hannah is so lucky to get to go so much," and most recently, "When is your daughter going to realize that going to Disney so much isn't normal?" Most of the time, we laugh it off saying it is part of the job and we enjoy it. But that last question has been on my mind this week. Normal? 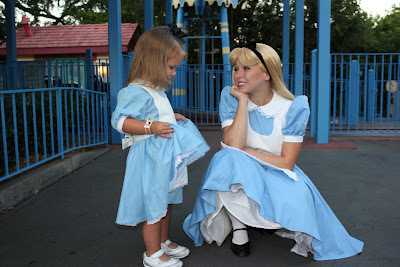 Yes, we do visit Walt Disney World a lot. Hannah has been eight times since she was born and is already directing us around the parks at two and a half. But who can say that isn't normal for us? With Facebook and blogs today, we are more in tune with the daily lives of our friends and family. There isn't one family that looks and does things like another. Our normal is that we both work from home with multiple trips for Chet to speak and to Disney. 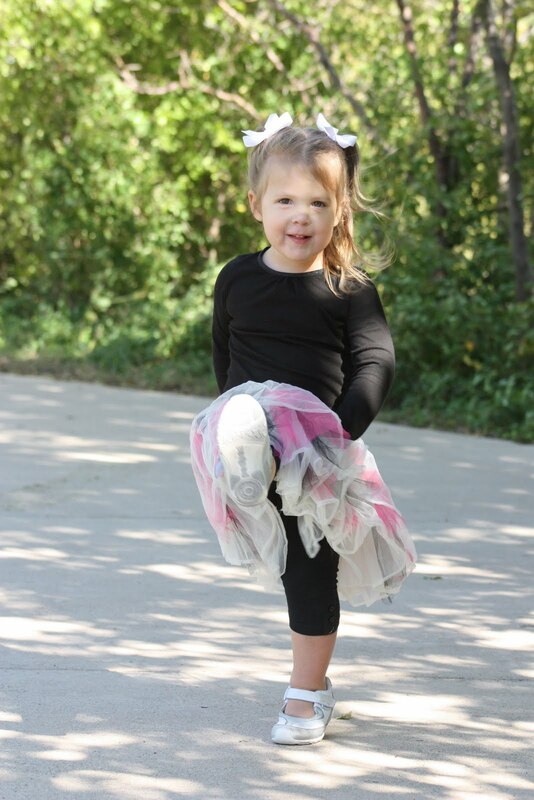 It is normal for Hannah to have a dad with no arms and who uses a wheelchair. I see families that go camping multiple times a year, families where both parents work outside of the home, families with children from different countries, families that love the beach, families where one parent has to travel for weeks at a time, families with five kids, and families with no children. No, these families do not look like or do things the way that we do. But they don't look like anybody else's family, either. 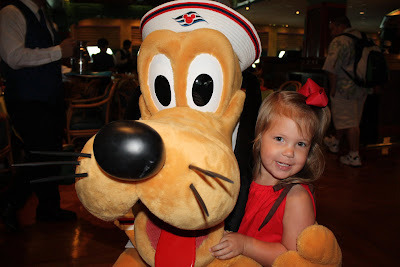 Why do we love traveling to Walt Disney World so much? We have always said that it is one of the few places we could go that it truly accessible. We don't ever have to worry about how we are going to transfer Chet's chair, if we are going to be able to experience everything we want to as a family. 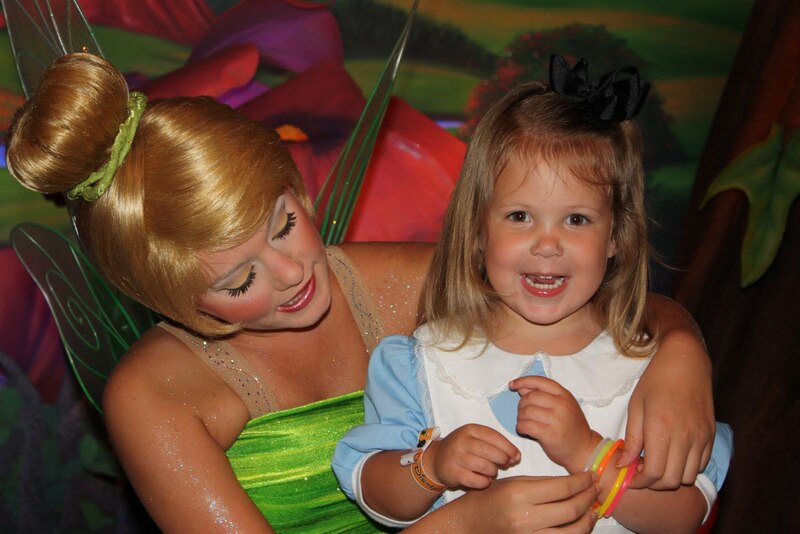 We love seeing Hannah's face when she meets her favorite character and when we take a ride on "it's a small world." Chet said something the other night that really struck me. When we are there, we are treated like a family. 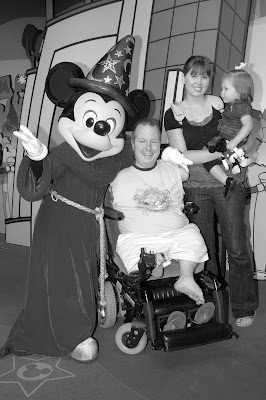 Walt Disney World is not only accessible and accommodating, but it is also inviting and accepting. I daresay, more than some churches we have visited. 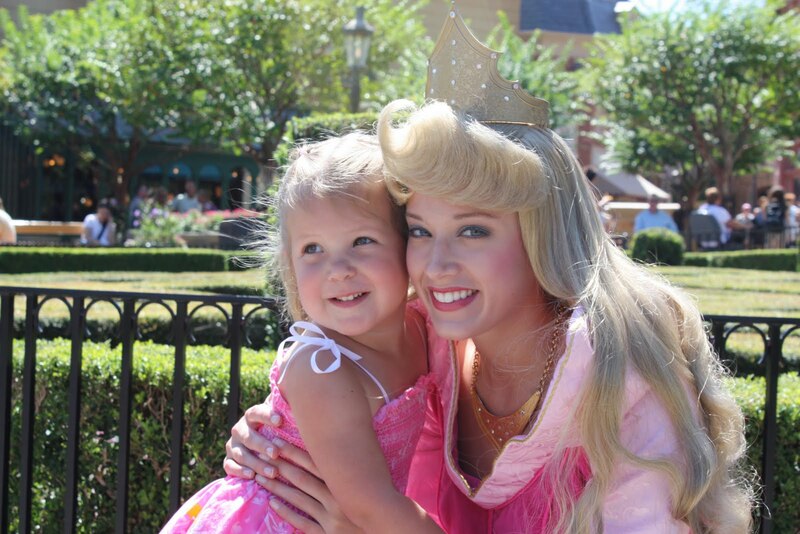 Disney trains its Cast Members to respect and treat everyone as equals. When we are out in public, most of the time nobody acknowledges Chet. They will only talk to me even if it is about Chet, he is standing right next to me and he asked the question to start the conversation. We've walked into churches where Chet is to speak that morning and no one will speak to him until they realize that he is the speaker. We are stared at all of the time because we don't look like a "normal" family. That is not the case in Walt Disney World and the way it should be in our churches. Cast Members directly talk to Chet. We are just like every other family when we are there enjoying our time together and making new memories. If "normal" is what we are to strive for, then we are going to miss out on some awesome experiences and miss the chance to meet some awesome people. Jesus certainly did not do what was classified as normal while he was here. On all of our trips, both to Walt Disney World and other places we travel to, we are able meet people from all over the country from all kinds of backgrounds. It is amazing how much ministry can be done on the sidewalk of Main Street U.S.A. while waiting for the parade to start. Sharing a passion and sharing experiences is a great way to get people to start talking. 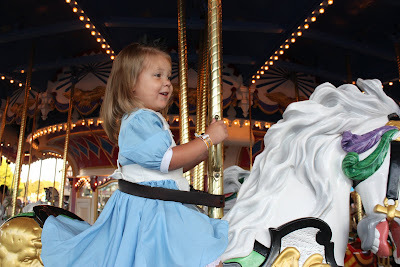 Yes, we do go to Walt Disney World a lot and that isn't going to change. 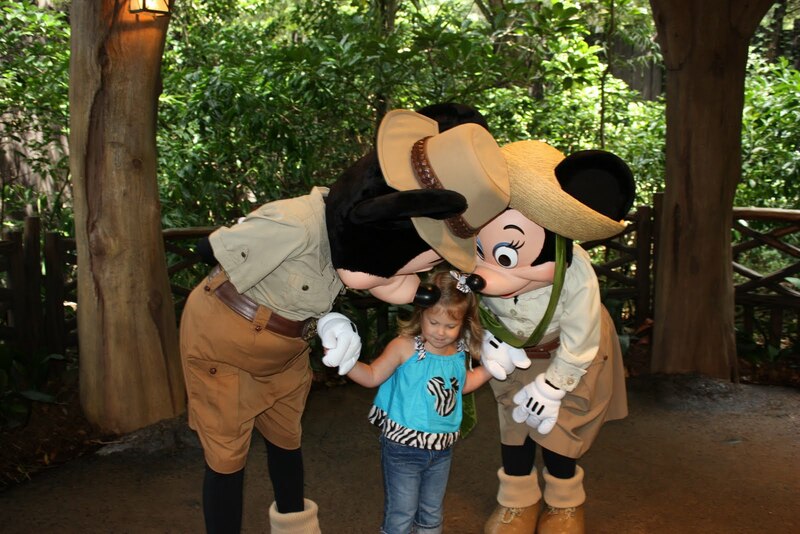 Yes, Hannah is a lucky girl but not because she gets to go see Mickey Mouse several times a year. She is lucky because she has a mom and dad who love her and love sharing experiences with her. 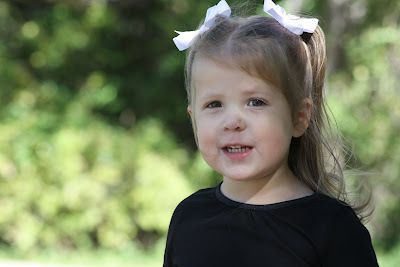 She is lucky because her parents not only take her to church but are trying to teach her how respect others and act as Jesus would whether we are at WalMart or Walt Disney World. No, we are not a "normal" family but isn't that what should be striving for anyways in all aspects of our lives? People often ask us why take little ones to Walt Disney World before they can really remember anything. We reply that there is nothing like seeing the joy and amazement on their faces when they meet their favorite character or see the castle for the first time or take a spin on Dumbo. It is still real for them at this age, not make-believe or fantasy. Besides, it is as much fun for Mom and Dad to see her experience these things as it is for her. Hannah loves Alice in Wonderland. We went to see Cousin Kayden as the March Hare in the play version about a month ago and Hannah has been obsessed ever since. We bought her the Alice dress the first day we were there and she wore it on three different occasions. (It might have been more, but it was beginning to smell!) 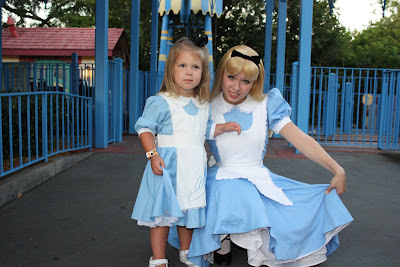 We met Alice for the first time ever on this trip. 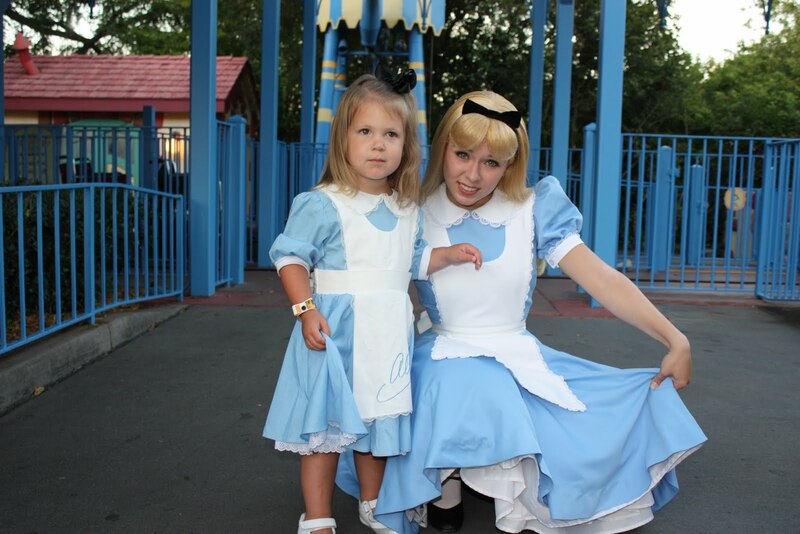 Alice made a big deal about how they were dressed alike and Hannah just lit up. 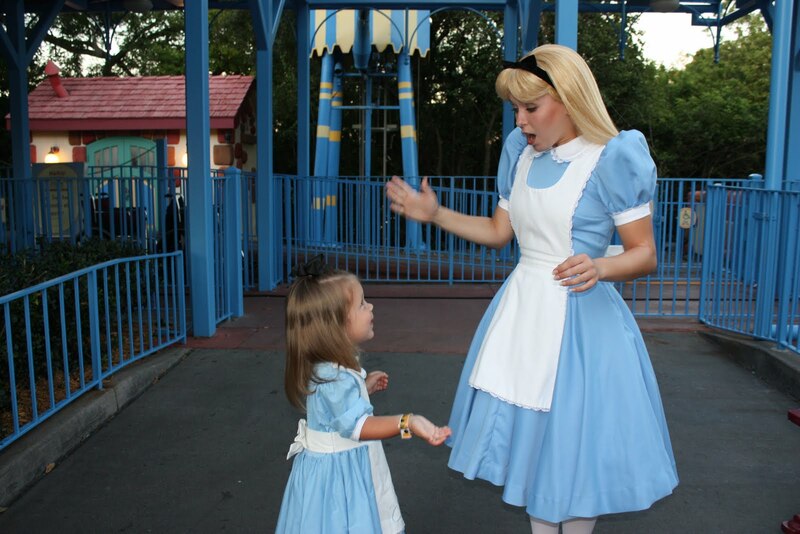 She was so excited to show her dress to Alice. This is why we love taking our two year old to Walt Disney World. Here a few more pictures from the rest of our vacation. We had a great time but are definitely glad to be home! Hannah hasn't quite figured out that we just can't get in our car and drive to Walt Disney World as we have been doing every day for the last week. I told her that we are planning to go to the zoo tomorrow and she said we would see animals from a truck (like one of the attractions at Disney's Animal Kingdom) and that she wanted to ride Mansion (Haunted Mansion). 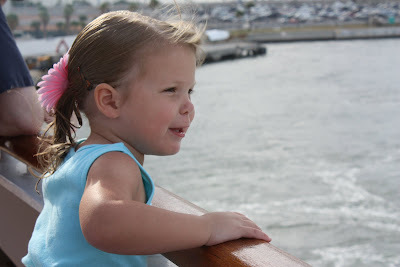 She loved to look out over the balcony railing to check out the view. Mom and Dad decided that we would finally stand in the long (45 min) line to see Tinker Bell and the other fairies. As you can see, it was definitely worth it! Hannah loves Sleeping Beauty and the other princesses! And, of course, Mickey and Minnie!